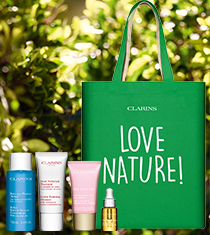 As your skin ages, numerous unexpected changes may arise. 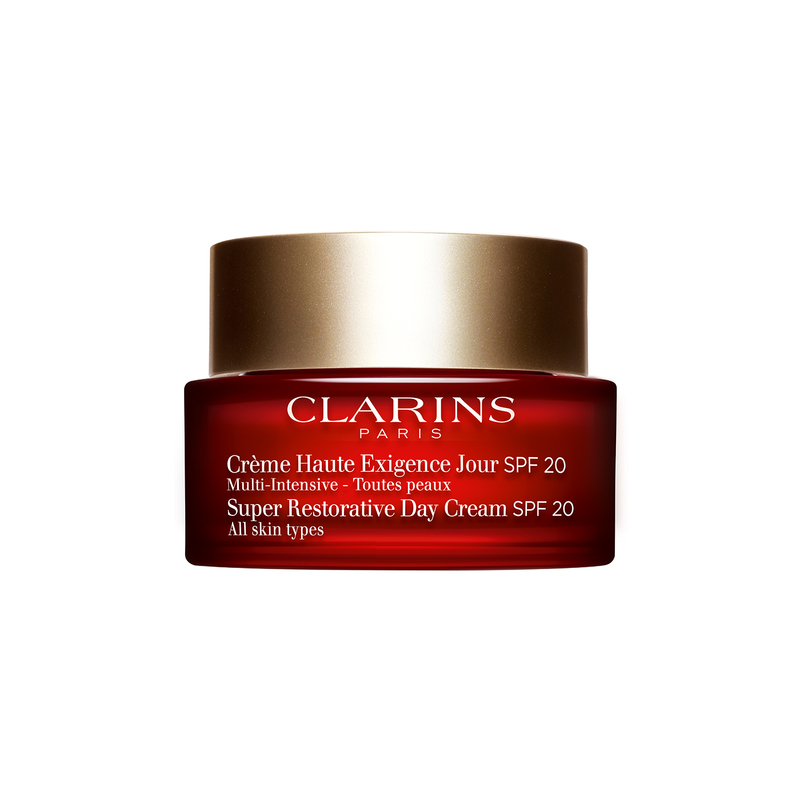 Clarins has your beauty needs covered with the Super Restorative Day Cream with SPF 20. This anti-ageing day cream for women aged 50 and up will reduce the appearance of wrinkles and fine lines, soften and smooth skin, and work to enhance your skin’s natural radiance. 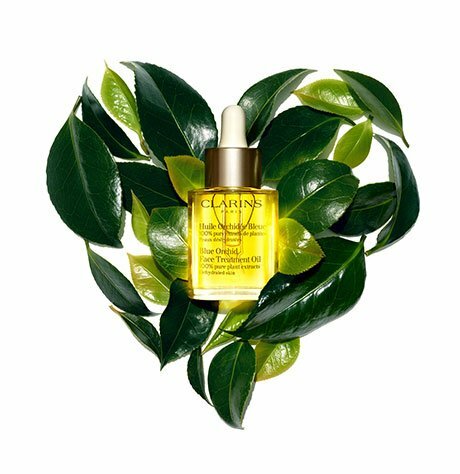 Organic harungana extract from a healing tree from Madagascar nourishes skin and promotes healing at all levels so that your skin can recover from long days of stress and fatigue. An essential ingredient to your daily skin care regime, Super Restorative Day Cream will take care of your beauty needs from ultra-hydration to reparative action, leaving you with glowing skin. 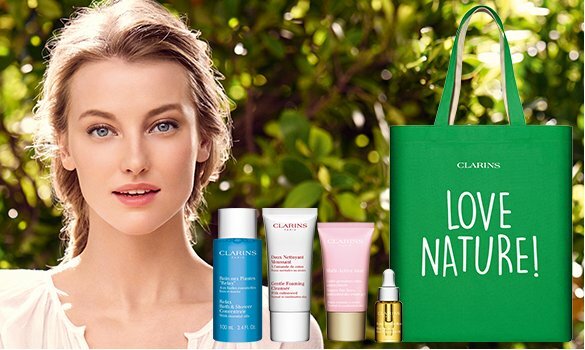 For optimal results, use this over Clarins’ Super Restorative Serum. Dermatologically tested. Non-comedogenic. Rated 5 out of 5 by Anonymous from New favourite! I have incredibly dry skin all year round.. I switched to this Multi-Intensive Day and my skin drinks it up and stays hydrated ALL DAY!!!!!!! I LOVE IT! Rated 5 out of 5 by misnik from Been using this for years. Love it. Fewer wrinkles, makes my face feel soft and smooth. Rated 5 out of 5 by Happyface from Have recommended this to 2 friends who are using it and find it very effective. Rated 5 out of 5 by Babyboomer from Loving my new Day cream Very nice non-greasy day cream. You don't need a lot, it goes a long way. Rated 5 out of 5 by GraceL from Love all Super Restorative products. Very pleasant smell. Feels very nice on skin. Rated 5 out of 5 by Skin50 from Skin Looks Younger I have only been using this product for 6 weeks and am already getting comments on how much younger I look, love it! Rated 4 out of 5 by ormsby from Good overall face cream This cream has a nice thickness for the dry winter months. The SPF is nice for those sunny days and protection from sun burn off the snow reflection. The smell is also very pleasant. I have not used it long so can't review anti aging effects.